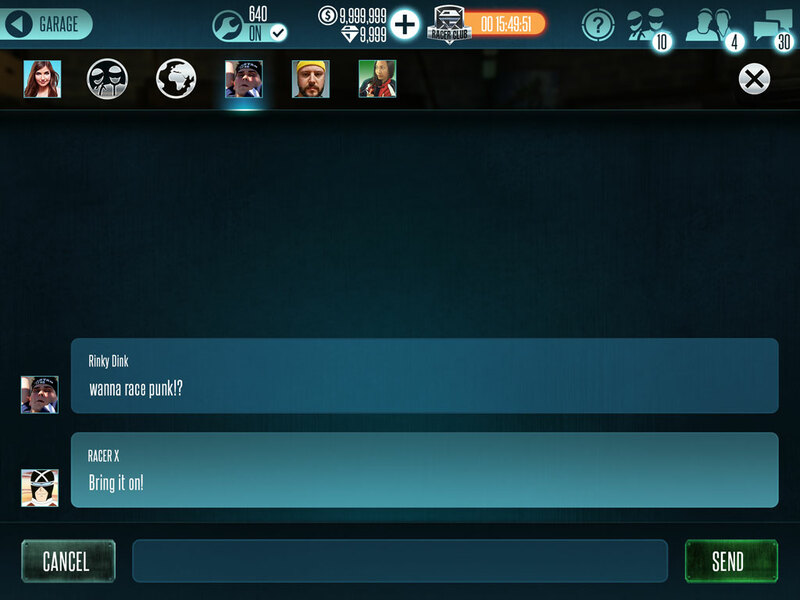 The chat ui is another re-skin of the original based on the new ui kit. Chat has 4 different sections: System, Teams, Global and Private. 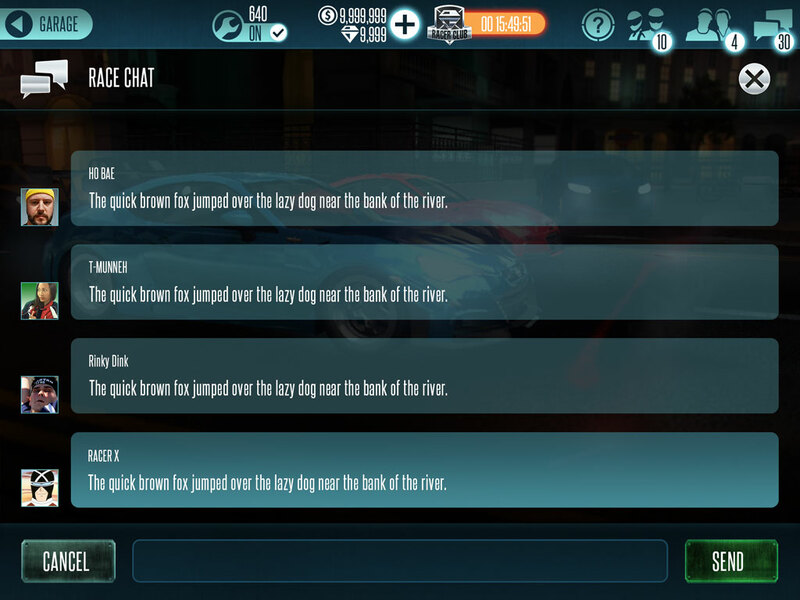 There’s also the “Race Chat” feature where you can chat during multiplayer races. That chat environment is only available when you’re in the multiplayer lobby. The blue glow under the avatar photo indicated your active chat window. The red glow indicated you have a chat message in a window. This section allows you to communicate directly with your team. You can only use this if you are part of a team. If you are not currently part of a team, this is what you’ll see. Global Chat as the name implies, is a chatroom that allows you to chat with every player that is currently active in a particular server. 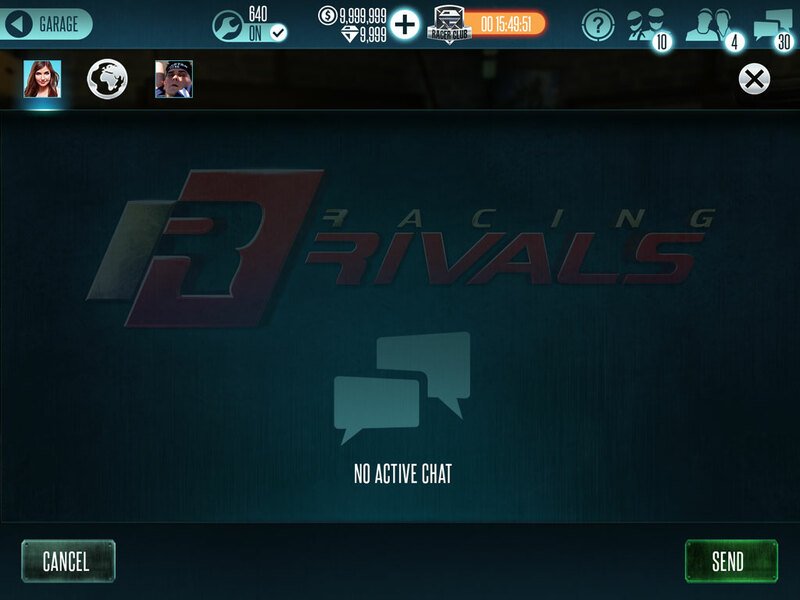 It is an open room for all Racing Rivals player to chat. When you send a message, the chat message box will appear slightly brighter than other users. This is done for you to distinguish which message is yours without reading the names one by one. 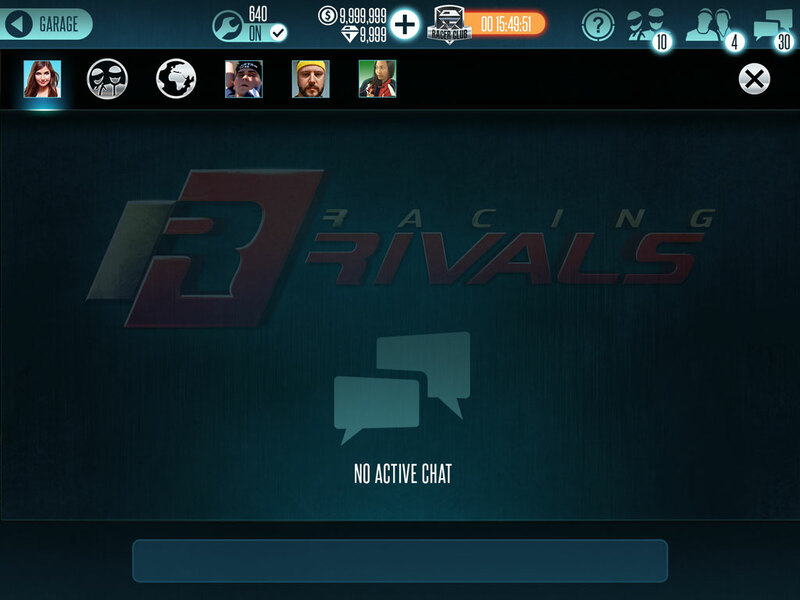 Private Chat allows you to directly message another Racing Rivals user, either from the global chat or from your friend’s list. If your friend or contact is offline, you will not be able to send messages to them. 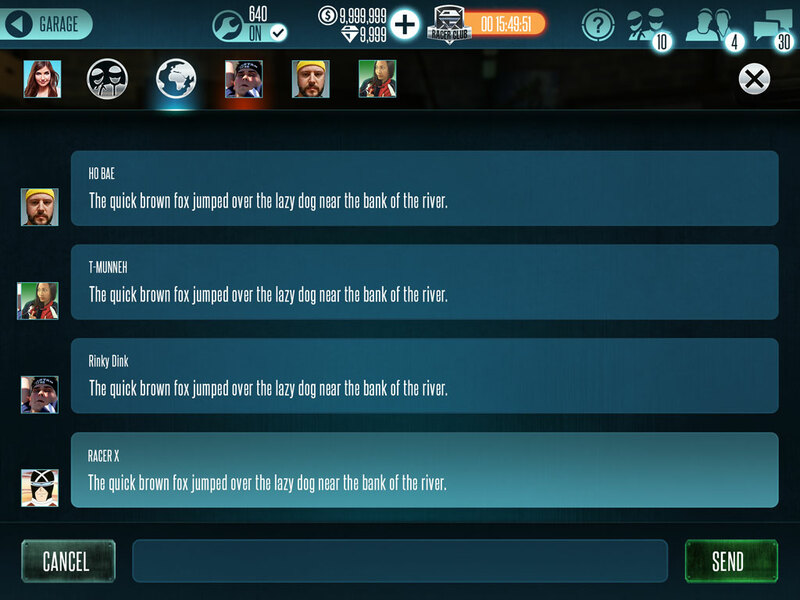 This chat system is only available in the Multiplayer section of the game. This is your way of communicating with other users in the multiplayer lobby that you are in. 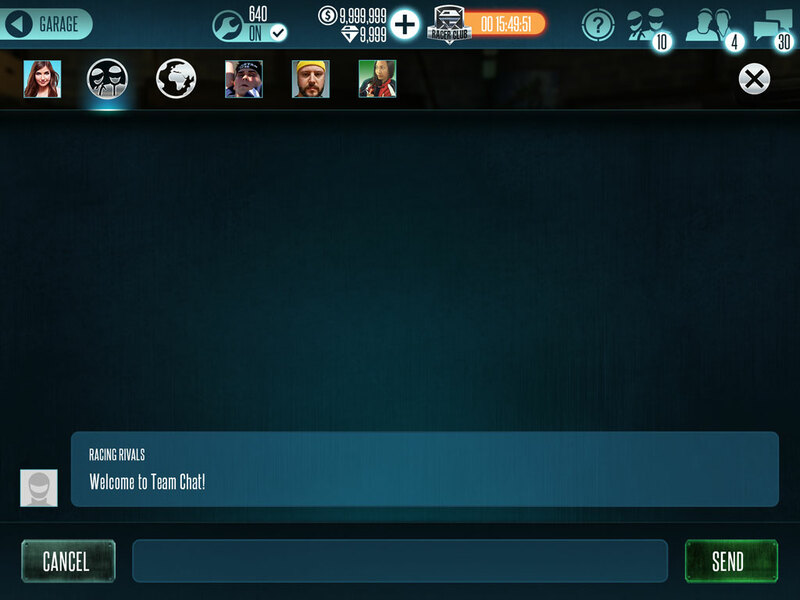 If you want to use the other chat features, you will still be able to access them through the top navigation bar. This image shows how the Race Chat behaves when you receive messages from the lobby. 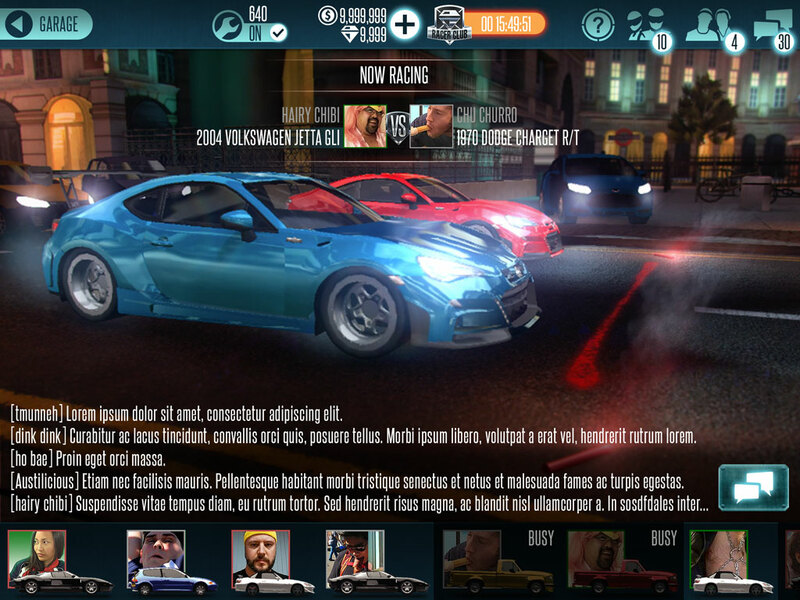 This image shows an active Race Chat window.